TUTORIALS :: How to upgrade or install a latest current release Linux Kernel version manually in Ubuntu? Linux Kernel developers release frequent monthly kernel versions. If you use Linux distribution such as Ubuntu, we need upgrade kernel version for fix security bugs after Linux kernel developers recently released the same. So, in this article you will learning about this. How to install latest version Linux Kernel in Ubuntu? 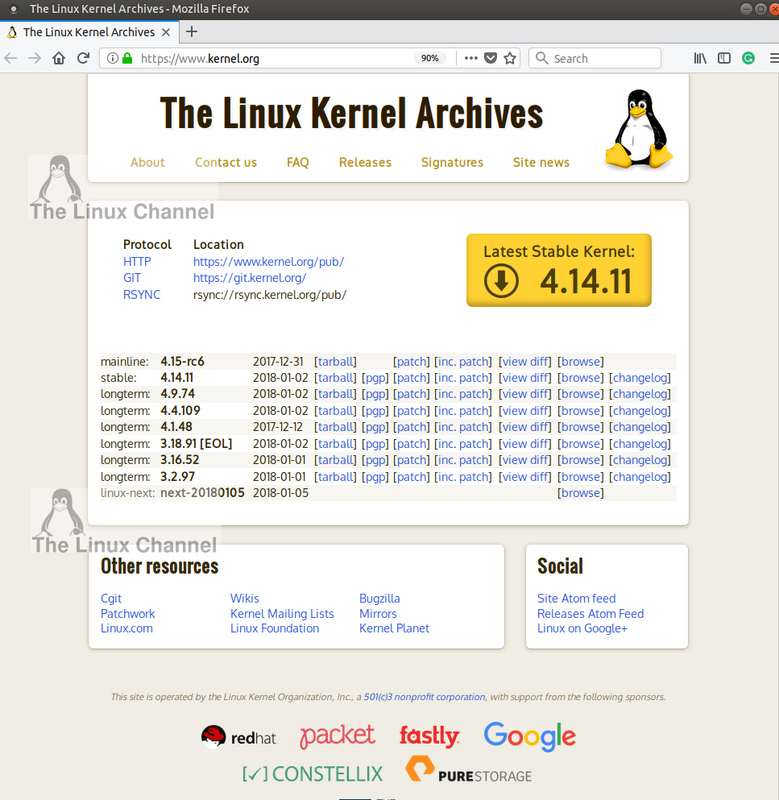 First we should be aware of release Linux kernel version, hence check the same in the main Linux Kernel website: www.kernel.org. Here we can see the recent stable kernel version(s). In this case as you can see in the below screenshot it is Linux Kernel version 4.14.11. You need latest version code of kernel compiled or built with different architecture. This is a mainline of Ubuntu where we can see all versions of Linux kernel compiled/pre-built .deb files: http://kernel.ubuntu.com/~kernel-ppa/mainline/. So let us take current kernel version of Linux which is 4.14.11. You should use this link for get kernel version 4.14.11 with format: http://kernel.ubuntu.com/~kernel-ppa/mainline/v<linux_kernel_version>. Now we have two .deb files we can now install the same. First install linux-headers .deb file followed by linux-image .deb file as shown below. NOTE: if you want you can remove old kernel versions with dpkg command.